Everyone’s obsessed with stories. We spend so much time looking at what other people post to their Instagram and Snap Chat stories, but what about the stories we’re sharing? 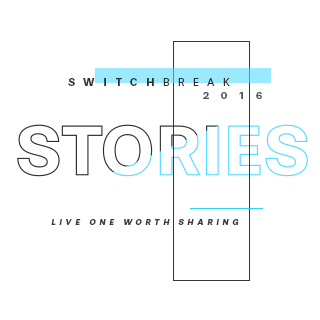 This Switch Break, we’re going to focus on living a story worth sharing. During the first session, we’ll look at the things in our story we aren’t proud of, and we’ll talk about how to crop those things out. In session two, we’ll identify where our priorities are. We’ll challenge students to name what they want to get out of Switch Break and help them figure out how to get that thing—and focus in on God without distraction. In the final session, students will think about what story their lives are sharing. We’ll help them discover what it really looks like to live for God every day because that is living a story worth sharing. Switch Break is a three-part series that could be covered in a multi-day retreat setting or over the course of three services.